Chancellor Nicholas S. Zeppos honored six members of the Vanderbilt faculty during the Spring Faculty Assembly with awards recognizing their teaching, research and service. 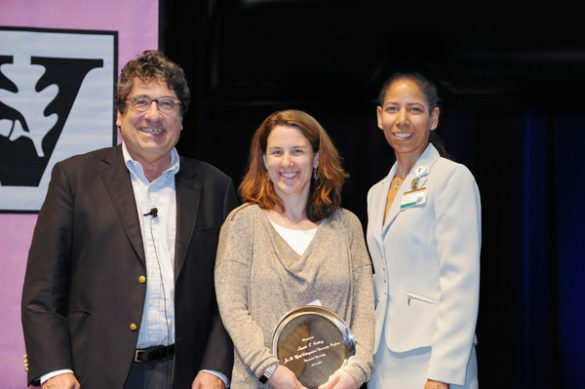 “Connecting with colleagues and recognizing extraordinary achievement with faculty awards reveres our purpose and mission and the special nature of our scholarly work,” Zeppos said. Cutting, holder of the Patricia and Rodes Hart Chair and professor of special education, psychology and pediatrics, won the Joe B. Wyatt Distinguished University Professor Award in recognition of accomplishments that bridge multiple academic disciplines and honor the development of significant new knowledge from research or exemplary innovations in teaching.